Mark Hix learned his trade under big-name chefs Anton Edelmann, Vaughan Archer and Anton Mosimann at The Dorchester, before taking up his first head chef job at the Candlewick Room in London, aged just 22. From there he became head chef at London's celebrity haunt Le Caprice, stepping into an executive chef role in 1990. After leaving Caprice Holdings in late 2007, he formed Restaurants Etc Limited with business partner Ratnesh Bagdai. In 2008, he launched Hix Oyster & Chop House in Smithfield as well as Hix Oyster & Fish House in Dorset; a year later, he helped to mastermind the launch of The Albemarle in Brown's Hotel and opened his self-named flagship, Hix, in Soho. In 2012, the chef opened two more restaurants in the capital: Hix Belgravia, in the Belgraves hotel, and Tramshed in Shoreditch. Hix’s hearty, seasonal British cooking is now among the most recognisable styles in London. 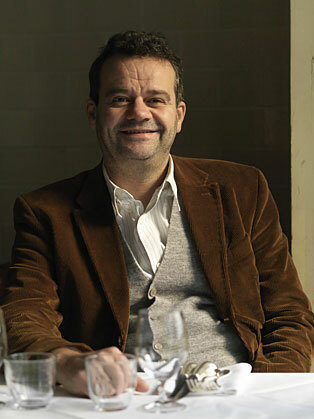 Mark Hix is also an award-winning food writer. He has contributed to various UK newspapers and magazines, including Country Life and The Independent on Saturday magazine; in 2003, he won the Glenfiddich 'Newspaper Cookery Writer of the Year' award. Hix was voted Best Cookery Writer by the Guild of Food Writers and has written nine cookery books, including British Seasonal Food, which won the Guild of Food Writers' ‘Cookery Book of the Year’ award in 2009.